Cpl. Wesley Heckathorn says he uncovered a mail fraud scam Mark Brown ran from his prison cell. The first part of this series ran Sunday: A busy mind behind bars. Editor’s note: This is the second story of a two-part series. 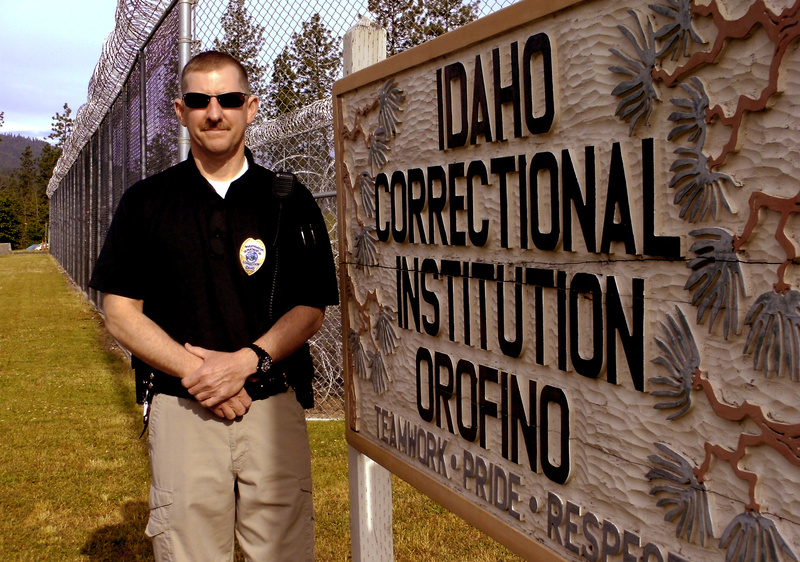 Longtime Idaho prison inmate Mark Anthony Brown had only been at the Idaho Correctional Institution in Orofino for five months when suspicions were aroused. Legal mail is handled differently than other mail in prisons, which is routinely screened by prison authorities. Inmates are allowed to correspond with their attorneys and the courts to conduct appeals or address other legal matters without such screening. Brown had been incarcerated for decades; he was transferred to Orofino after being housed at privately run prisons contracted by the state to ease crowding. What Heckathorn uncovered was the inner workings of what appeared to be a remarkable scam in which Brown, typing away on an electric typewriter in his Idaho prison cell, filed allegedly false claims in major lawsuit settlements around the nation, collecting tens of thousands of dollars. One check alone, from litigation involving pharmaceutical powerhouse GlaxoSmithKline, was for $29,000 – mailed to Brown in prison. In July 2012, Heckathorn and the prison sent a report to the FBI, which began investigating. In August, a publishing company called him to say Brown had filed a fraudulent claim in the company’s bankruptcy litigation. A federal grand jury indicted Brown on charges of mail fraud, and a trial is tentatively set to begin in September in U.S. District Court. Much of the nearly $64,000 that authorities believe he received through the prison fraud scheme was transferred to an investment account now targeted for potential forfeiture. Brown, said Heckathorn, would file claims and instruct recipients to write the words “legal mail” on any correspondence sent to him. Rather than being screened in a prison mail room, legal mail is opened by an officer in the inmate’s presence, simply verifying that no contraband is contained and handing the mail over without reading it. None of that surprises Terry Rich, a high-tech businessman in Boise who gave Brown a job in 1994 while Brown was briefly on parole. Heckathorn, who’s been a prison guard for five years, said the case opened his eyes. Terema Carlin, the Orofino warden, said she’s proud of her staff. “It did take a team approach. It took somebody going, ‘This just doesn’t sound right’ in the mail processing room, and then Cpl. Heckathorn to pick it up and run with it,” she said. A California firm administering four of the major court settlements in which Brown filed claims declined to comment on the case. Steve Tobiason, who prosecuted Brown in 1982 as a deputy Nez Perce County prosecutor, pressed back then for a long prison term for the bright young serial burglar who excelled as a computer science student at the University of Idaho by day, while burglarizing university buildings, homes and businesses at night and hiding his loot. “He has the intellectual ability to be a devastating criminal,” he told the court.